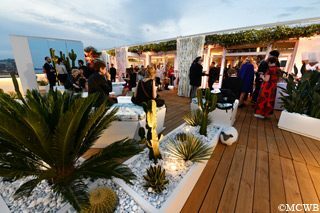 For the 2018 edition of the Cannes Film Festival, the Mouton Cadet Wine Bar was proud to host one of its most unforgettable opening cocktail evenings. 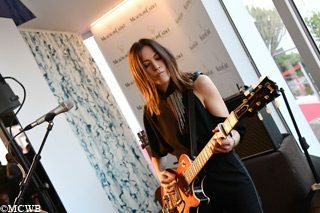 Introduced by the intimate live set of international artist Keren Ann, the venue opened its doors with a wonderful crowd of distinguished guests. Under the spell of her cystal-celar voice, cinema industry figures and wine lovers were able to enjoy her cover of famous film music. 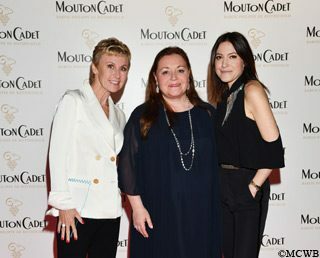 The Opening Cocktail was the first of the Sunset Aperitif, celebrating Famous Music Film as central theme throughout the Festival fortnight, in the presence of Madame Camille Sereys de Rothschild and Véronique Hombroekx, Managing Director of Baron Philippe de Rothschild SA.